As a guest at Desert Oak or Compound at Stargazer you will have access to the four-season resort of Taos and Taos Ski Valley, where activities include skiing, fly fishing, horseback riding, hiking, snow shoeing, mountain or road biking and star-gazing. Stemming from the Southern Rocky Mountain Range, Taos Ski Valley offers pure, powder skiing — steep and deep — with big blue sunny skies nearly every day of the year. No long lift lines — even the number of lift tickets sold per day is capped. Hike the ridge or ski beginning and intermediate terrain – and it is true, Taos Ski Valley now allows snowboarding. Whether you’re a beginner or an expert, Taos hosts one of the best ski schools in the country. The Ernie Blake Snowsports School offers a wide array of programs with expert instructors, including a dynamic kids center. Two great shops for expertise in equipment are The Boot Doctor’s and Le Ski Mastery, both are frequented by instructor’s and locals. Rugged individualists feel a sense of excitement by venturing off the beaten path in search of a genuine and authentic experience of the American Southwest. They crave the open space and wilderness, the true mountain setting, unspoiled by urbanization and major development. 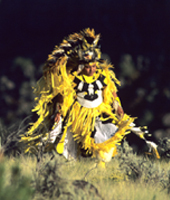 Taos Ski Valley is just 18 miles to the tri-cultural, historic town of Taos, with art galleries, quaint shops and boutiques, Taos Pueblo, museums, The Martinez Hacienda and numerous renowned restaurants. Halfway there you will drive through the quaint village of Arroyo Seco, filled with boutique shops. Don’t blink or you will miss Abe’s Cantina, where you will find a great breakfast burrito or next door is Taos Cow for homemade ice cream. Across the street you will find Hiro Hobo a popular restaurant for locals, serving Japanese food with a contemporary flair.